Click on the buttons below to watch trailers for the movies! Any Movie Ideas? Let me know. 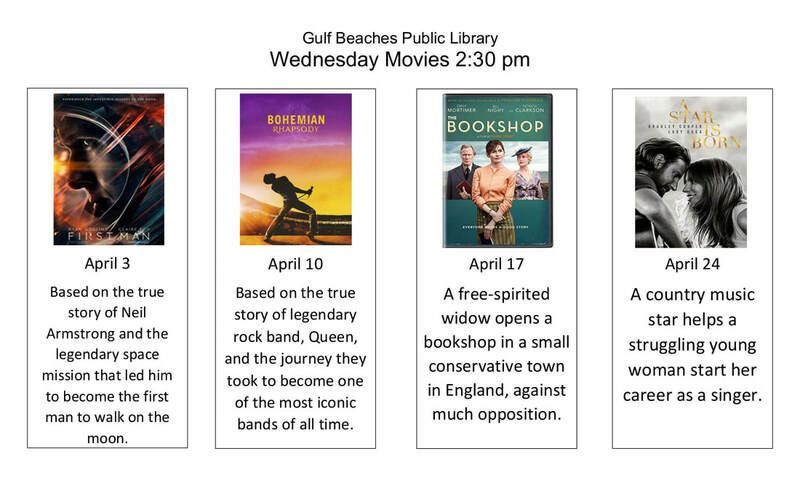 Gulf Beaches Library appreciates you coming to the movies. 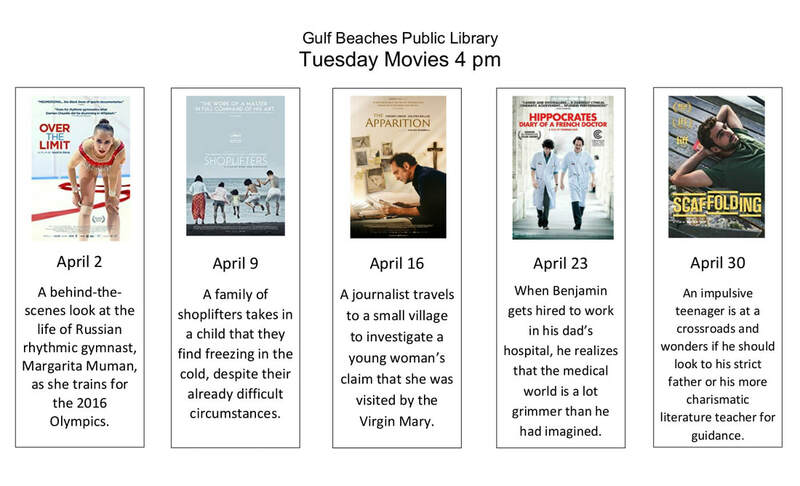 Enjoy the free popcorn!